It's been anticipated for a good while now, and in India title double four indeed fell the way of the Sebastian Vettel and Red Bull partnership. Their preponderance may be familiar by now. It may even be wearisome. It almost certainly is predictable. But it cannot be denied. Nor can it be belittled. Contemporary F1 is their time and emphatically so. And it's tempting to ask where it all might end. That's not to wish ill on them, more that it's an inevitability. After all, that is the way of the world and not just of F1. As George Harrison once noted: all things must pass. 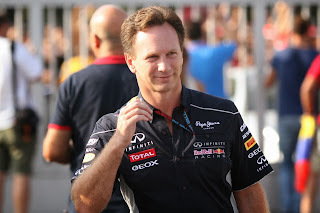 Of course, in recent years we've got used to sustained success, not just from Vettel-Red Bull but also before that from Michael Schumacher-Ferrari, yet for the most part such longevity at the top was very rare; when Alain Prost won in two in a row in 1985-1986 he was only the fourth driver ever to do so as well as the first for 26 years. 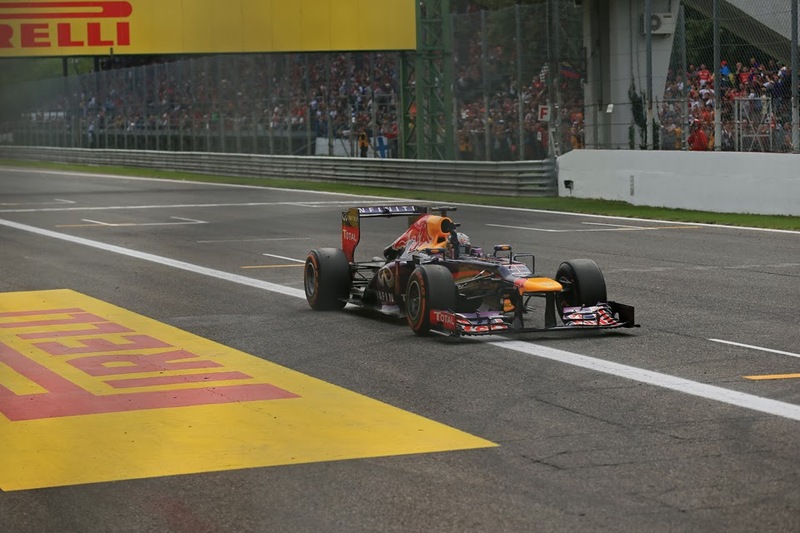 Such longevity is of course an area in which the Red Bull team has excelled however. With many parallels with the Schumi-Ferrari dominant force of the 2000s, despite having won everything there is to win, and doing so year upon year, there is no outward sign of slackening; no sign of resting on laurels. In my view for both haughty partnerships this is the most impressive of their many achievements. Season after season, no matter how motivated their rivals think that they are, no matter how well-prepared, Vettel and Red Bull are more so (just as Schumi and the Scuderia were). And the spontaneous joy that they somehow maintain, with the latest triumph seeming to mean just as much as the first, is quite remarkable. If you were uninitiated you'd assume from their external reactions that each win, and each championship, was their first, rather than being just the latest of several. Not much doing there, then, So, what else? Well, F1's past also tells us that sooner or later key people have to be replaced. And if you're unlucky lots of people can leave in quick succession, such as with Brabham in the mid-eighties and Benetton in the mid-nineties. And perhaps with most relevance to the Bulls, the Ferrari 'dream team' having swept the board for an extended period splintered in no time around about the 2006-2007 mark, many of those departing apparently seeking new challenges (could the recent Peter Prodromou departure be the thin end of the wedge?). In Red Bull's case the phoenix has had three heads: Vettel-Newey-Horner; replacing any or all of them will not be straightforward. And whatever the case there will come a day, sooner or later, that the team has to deal with the knotted issue of succession. Also commonly in F1 great teams can be scuppered - sometimes definitively - by technical rule changes forcing everyone to base camp. Others can either by luck or judgement get it right more quickly; occasionally the previously-dominant team never recovers. The introduction of the 1.5 litre formula for 1961 sent Cooper from leading to the midfield at a stroke, where they stayed. Similar happened (though briefly) to Jim Clark and Lotus when the 3 litre formula started in 1966. The radical rule changes for 1998 were a factor in the sudden end to Williams dominance, a dominance that never was re-established. Those of 2009 put McLaren and Ferrari onto the back foot overnight, and both even now still are floundering to an extent. And of course big regulation changes await for 2014, both to engines and to chassis. But then again would you really bet much on Red Bull not getting it right? Even with everyone starting again with a blank sheet many of the Red Bull strengths will still matter, particularly its technical ones: its correlation between design office and track is unparalleled, as is its understanding of its car. Its astonishing verve, swagger and energy will remain too presumably. These all will count whatever you do with the regs. 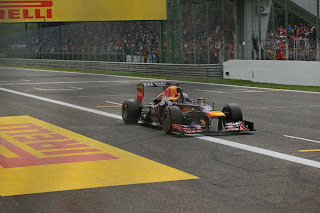 It may be that those looking to next year to be the scene of the Red Bull decline will have to wait a little longer.